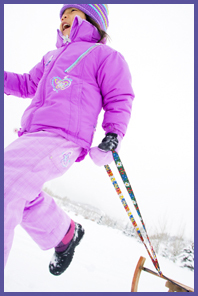 Kidznsnow KidzGear: Sliding equipment including sleds, snowboards, snowshoes and more. Welcome to the KidzGear Sliding Equipment page.Other sliding comes in many forms. Sledding, tubing, ice skating, there are lots of ways to get out and slide! We are collecting info on gear for you. Check out our KidzStore to buy online.